What are hilludraugar? I hear you ask. Well, it's an Icelandic word, here shown in the plural (the singular form is hilludraugur) that conveys the same meaning of uselessness as the English term "white elephant", but refers to smaller items and not necessarily expensive ones. It literally means "ghost on a self" and originally refereed to a thing that was haunting one's shelves and being useless and gathering dust but now has a wider meaning of "thing that gathers dust" literally or metaphorically. 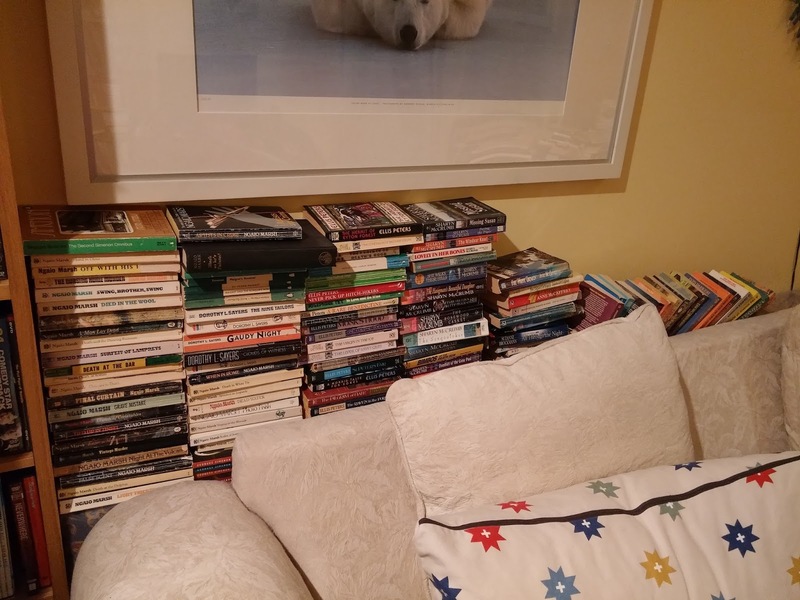 It's an excellent description for some of my TBR books. are about countries I have been to or want to visit, even ones I didn't particularly like when I read them. One category I will definitely consider culling from are the mysteries. 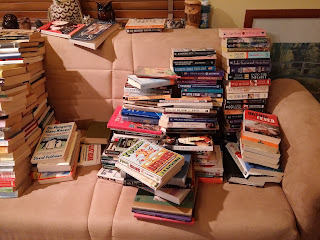 For a while when I was doing my 52 mystery authors challenge I would keep all the first books in mystery series that I came across, whether they were good or not, and I also kept several hard-cover mystery books because I love hard-cover books (and not because I thought I would read them again). 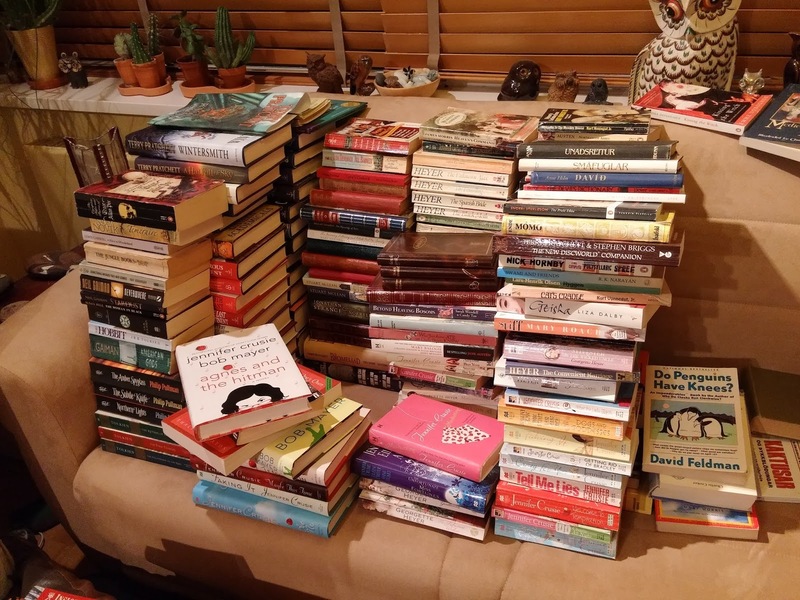 The hardest category to get rid of will be the children's books, especially old favourites I have kept since my childhood but have avoided rereading as an adult because I am afraid of having my rosy memories of them shattered. However, I recently learned that some libraries are quite happy to receive old children's books in good condition - especially classics - as the ones that are still popular are being read literally to pieces and replacements can be hard to find when they are out of print. I think I will make a list of the ones I have that are in good condition and check if my local library wants any of them. 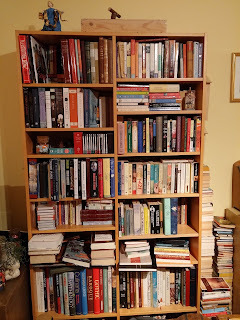 Another problem is that after I finished arranging the TBR books in their new home I decided I wanted to move the bookcase and switch it over with my glass-fronted treasure cabinet that resides on the other side of the living room. 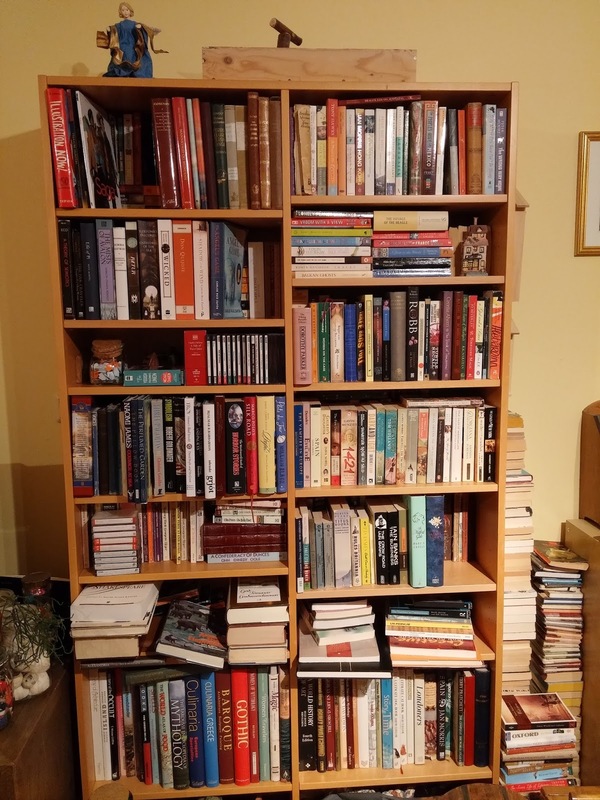 This means re-emptying the bookcase, emptying the treasure cabinet, and dragging them across the floor to switch places and then re-filling them.